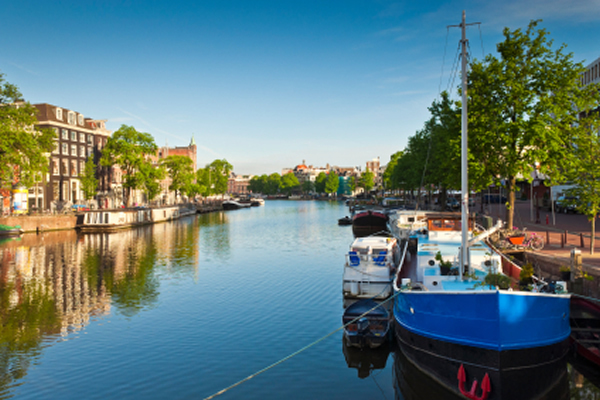 The capital city of Holland is a fantastic holiday option for couples and families alike. You can either fly in just under two hours or take a leisurely ferry ride over to this amazing country. Once there, you can find accommodation in one of Amsterdam’s great hotels, which range from the five star Grand hotel to the budget hotel like the Acacia which sits in the heart of the Jordaan district. A weekend in Amsterdam, will prove the best holiday decision you’ve ever made. Getting around the city is easy as most things are fairly close together. You can either take the option of walking (take care to wear comfortable shoes on the cobbles), or you can hire bicycles to see the city at its best. Other options include buses, trams and the subway. It is not advisable to try and drive into the city, because you will find it almost impossible to park. If you need to have a vehicle then it is best to leave it in the P&R facilities outside of the city. Amsterdam has a whole range of attractions for a variety of tastes. You can visit Vandelpark, Amsterdam’s most famous park, and then carry on to the Keukenhof at Lisse which is one of the biggest flowering bulb gardens. The Jordaan, which used to produce the city’s vegetables, is now open as a garden for the public to enjoy. For a spot of shopping visit the Albert Cuyp market where you can pick up clothes and delicious snacks. Learn more about Amsterdam’s history and visit Anne Frank’s house to find out about the city’s wartime history. As well as museums and stunning gardens, Amsterdam has some excellent restaurants. Recommended is the Brasserie Vlaming which can be found down the street from Anne Frank’s house. With fabulous food at great prices this is definitely one to visit. In addition, Michelin starred Zazas which sits behind the Heineken Museum must not be missed. Getting to Amsterdam is quick and easy thanks to the low cost airlines and ferry companies. If you want fancy flying or driving yourself, why not take the coach from London to Amsterdam with Eurolines. Amsterdam is steeped in history and has a colourful culture. With so much to do and see, you won’t regret choosing this city as your next holiday destination. The Dutch people are warm and welcoming which will make your stay even more enjoyable.